Jan 08 at 11:07 AM | 118 Views | Last edit Jan 08 at 11:09 AM 2 rev. "Error Code:-4008 Login SLD Failed, make sure the server, company and user credential are correct", This kind of error occur during DTW process. Dear Praveen, Welcome to SAP Business One Community! Nice to have you! I'm using SAP Business One Version 9.3. Here i enclosed the Image of my error for your kind reference. 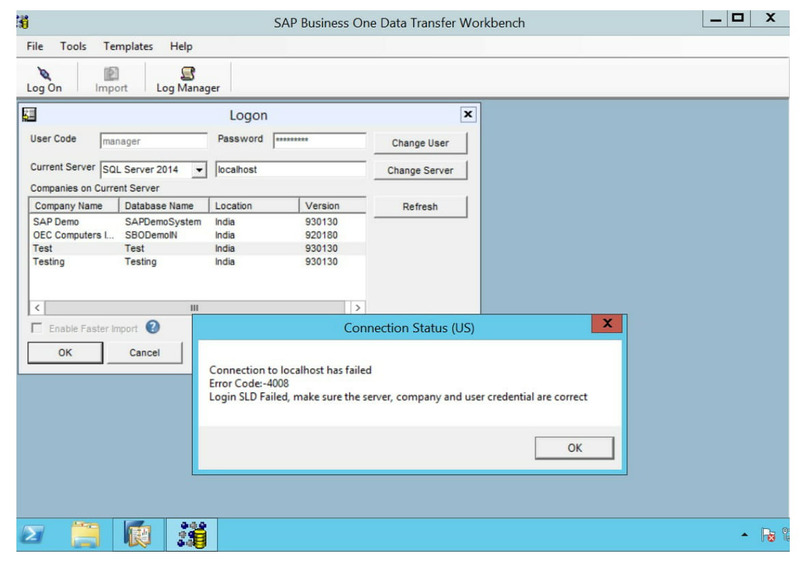 Are you running DTW from user PC or SAP server? Running DTW from User PC.